I know it's early days, but this already bears the hallmarks of my favourite headline for 2013. 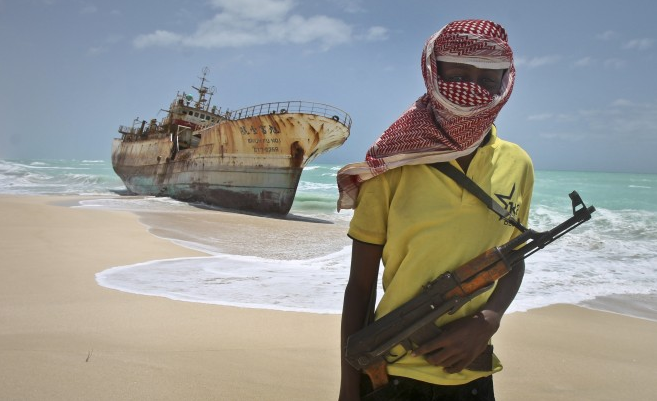 Notorious Somalian pirate extraordinaire Mohamed Abdi Hassan, aka ‘Afweyne’ or ‘Big Mouth’, has announced his retirement after 8 years at the top. Apparently this modern day Captain Hook is behind some of the regions most high-profile hijackings, like a $100 million Saudi oil tanker and a Ukrainian ship filled with soviet-era munitions and tanks en route to Southern Sudan... Both in the same year. I, for one, congratulate Mo on his retirement and look forward to hearing about his next adventures on the stormy seas of international crime.